All-League 2014 team announced by Commissioner Paul Galop and Head Statistician Chris Thoms. Cape League 2014 Playoff game Schedule and results. 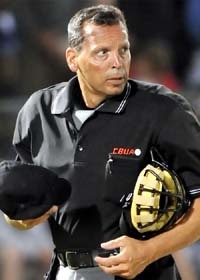 Cape League selects Bill Fisher as the Curly Clement Top Umpire for the 2014 season. Chatham Angler Chris Shaw (Boston College) is honored as this year’s recipient of the John J. Claffey award as the New England Top Prospect. 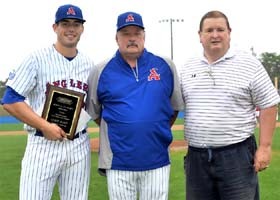 Chatham first baseman A.J. 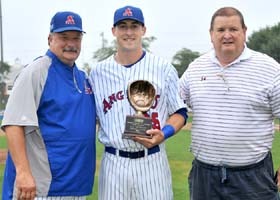 Murray wins Manny Robello 10th Player Award for 2014 Cape League season. 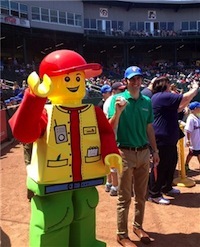 New England’s only LEGOLAND® Discovery Center continues its Summer Tour on Sunday, Aug. 3 with a visit to Cape Cod.